Close to the Puerta del Sol, Hostal Astoria is a strategic location to visit Madrid. 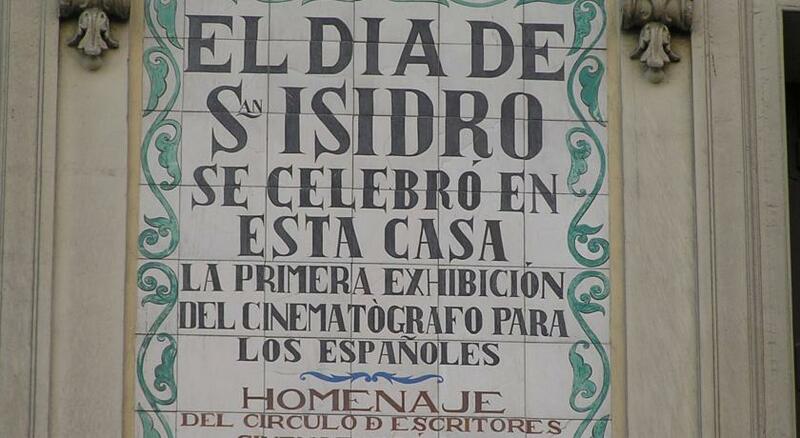 It is placed in a building classified as BIC (Good of Cultural Interest) by the Autonomous Community of Madrid, because at the ground floor of this building, Former Hotel Rusia, took place the first cinema exhibition in Spain on San Isidro’s Festivity. The hostel is located just a few minutes walk from most of the local tourist attractions, such as museums, palaces, churches, monuments, shops, restaurants, cinemas, theatres and nightlife spots. Also, it is perfectly communicated by public transport with anywhere in the city. 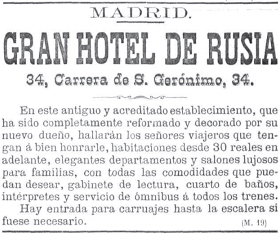 It is perfect for your business trip or for a short break in Madrid. Hostal Astoria is a cosy hostel, with a pleasant and quiet atmosphere where you will be able to rest comfortably after a day of tourist visits or work. Our accommodation is an excellent choice for your travels to Madrid, both for business and pleasure. We have free Wi-Fi access for all of our clients. Check out our exclusive offers and benefit from the best price guaranteed by booking on the official website.